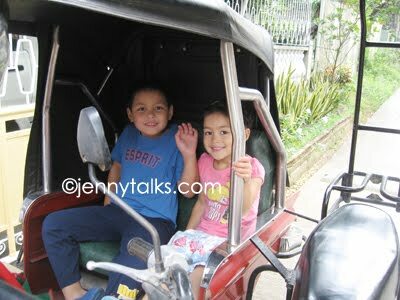 Here are some pics of them riding the tricycle in January 8,2010, I'm sure theywould love to experience this once again. Just the other day, my mom and SIL told me that they were able to spoke to them at YM while I was out. I hope I'll get to speak with them soon as Bianca is a real chatter box. 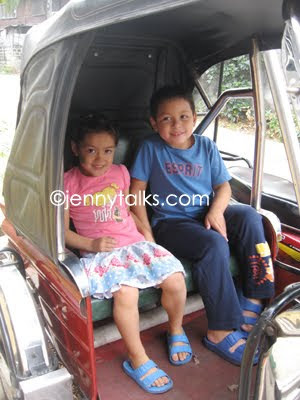 I also miss talking to their older sister Micah, who became my shopping buddy while she was here for a vacation. She's still beautiful, I guess there's no more visible acne on her face right now and I think she still need an acne scar treatment to remove some dark spots. Anyway, I miss them all and I hope they can have another vacation here maybe after 3 more years or so.